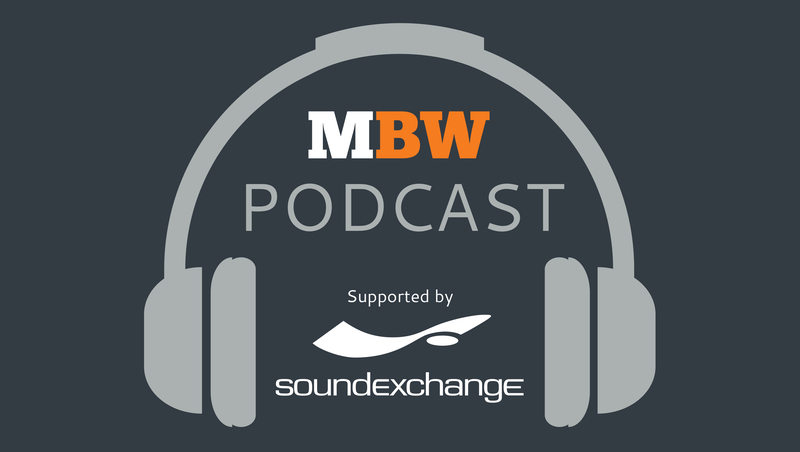 The MBW Podcast offers a probing monthly audio interview with some of the true thought leaders of the global music business. The Podcast is supported by SoundExchange, which has paid out more than $4bn to artists and rights-holders to date. It’s not easy breaking artists right now – especially when you’re committed to building careers. Just two debut artist albums went Gold in the US in the first six months of this year: Nine Track Mind by Charlie Puth and Islah by Kevin Gates. Both of them happen to be on the same label: Mike Caren’s Artist Partners Group – an ‘independent major’ imprint of Atlantic Records run out of Hollywood, Los Angeles. Islah has since gone Platinum, in a year when others are struggling to gain traction for emerging artists in the US and beyond. Caren (pictured) partly puts APG’s success down to its determination to keep its roster manageable, and therefore dedicate more creative resources to each artist than other labels can muster.. He adds: “Very few people have really studied the business [enough] to understand that the A&R timeline people have in their head of signing and being successful in 12-18 months is unrealistic. “Possibly the reason why a lot of artists are successful on their second record deals is that the first team wasn’t patient enough. Mike Caren started his career in A&R 21 years ago, aged 17, at Atlantic subsidiary Big Beat Records. Since then, he has signed or co-signed over 20 artists that have achieved gold or platinum status. From 2009 to 2012, he served as Co-President alongside John Janick of the relaunched Elektra Records (Bruno Mars, Ed Sheeran, Cee Lo Green). He established Artist Partners Group in 2013 as a sister company to Artist Publishing Group, which is administered by Warner/Chappell. In addition to APG, he has a global remit as Warner Music Group’s Creative Officer. Outside of A&R, Caren is also an active songwriter having written and/or produced for Beyoncé, Kanye West, Bruno Mars, Cobra Starship, Flo Rida, Trick Daddy, Asher Roth, and others. “Being a producer and writer, I’ve realised that there’s no single rule to making a great record,” he says on the podcast. Caren encourages the industry to remember that artists, especially young artists, grow up quickly – and that you might not be dealing with the same individual at 19-years-old than you were two years previous. “We have a tendency as organised human beings to make a list and scratch them off: ‘I’ve seen that person, they are X, Y or Z’,” he says. Other topics discussed on the MBW Podcast include Caren’s working relationship with Warner/Atlantic executives such as Craig Kallman and the legendary Ahmet Ertegun, as well as Jac Holzman – the founder of Elektra and the man who discovered The Doors. We also ask Caren about dropping artists – and learning from experiences with talent when things don’t work out as planned. “The part of the business that gives me the most pleasure is breaking new artists and new writers,” he says. “More than half of the successful artists I’ve signed have been dropped by other labels. He adds: “Lyor [Cohen] passed on [the advice] that if you find yourself in a position where you have to drop an artist, you want to root for them and make it as smooth as possible… and legitimately hope they’re successful. “Some of the most problematic parts of the music industry are those who believe that other people’s failures are their success. That’s just the wrong mentality. We owe it to every artist who trusts us to do our best to make them successful. SoundExchange operates at the center of digital music, developing solutions to benefit the entire music industry. The organization collects and distributes digital performance royalties and administers direct license agreements on behalf of more than 130,000 recording artists and master rights owners accounts.